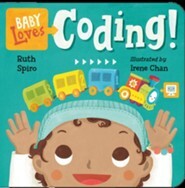 Big, brainy science for the littlest listeners. Accurate enough to satisfy an expert, yet simple enough for baby, this clever board book engages readers in a game of hide-and-seek with Schrodinger's famous feline. Can cat be awake and asleep at the same time? Beautiful, visually stimulating illustrations complement age-appropriate language to encourage baby's sense of wonder. Parents and caregivers may learn a thing or two, as well! 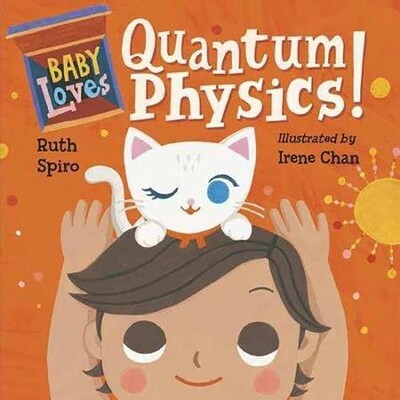 Spiro takes Schroedinger's cat and makes it a little kinder to help little ones understand quantum physics. While the book doesn't really explain why this is physics, it does a fine job explaining this particular conundrum. A great niche book for a science lover of any size -- and a good gift for a science teacher on any level. 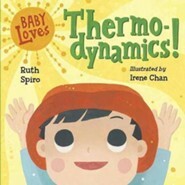 To be fair, I like Spiro's other board book out this year, Baby Loves Thermodynamics, but of the two this one has my heart. Here is the description on the back: "Play hide-and-seek with Schrodinger's famous feline." You read that right, except in this case the cat is both asleep and not asleep when it is in the box. Dead cats are shockingly absent from board books these days. I'm the author/artist and I want to review Baby Loves Quantum Physics!.